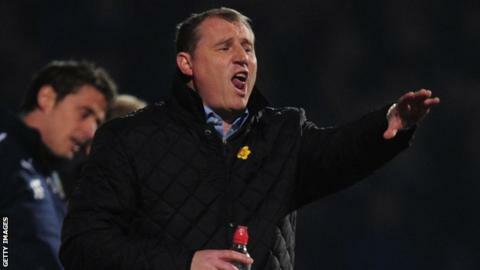 Paul Jewell has managed Ipswich, Wigan, Derby, Bradford City and Sheffield Wednesday. Paul Jewell has contacted his lawyers following his sudden departure from West Brom after just a week. Jewell left the Premier League club on Tuesday after being appointed assistant head coach by new manager Tony Pulis. West Brom said the former Bradford, Wigan and Derby boss, 50, had decided not to continue "his recent assistance on a more formal basis". But Jewell told BBC Sport his exit was "not by mutual consent" and the matter is now in the hands of his lawyers. BBC Radio 5 live's Midlands football reporter Pat Murphy says Jewell's departure is about money. "This appears to be one occasion when Jeremy Peace can't be blamed for a dispute over money at West Brom," says Murphy. "The chairman is a notoriously keen reader of a balance sheet but he left Pulis to sort out the hiring of his backroom staff within an agreed budget. "Pulis was very keen to enlist Gerry Francis after seven years together at Stoke and Crystal Palace. But to fund that, Pulis, his long-term assistant David Kemp and Jewell had to take a pay cut. "It seems Jewell, already wondering about the nature of his exact role at the club, wouldn't agree to that, although Pulis and Kemp did. Jewell says the matter is now in the hands of his lawyers."